Journal of Internet Applications and Management is a peer-reviewed academic journal of covering topics of interest to all those researching and working in the sciences of information and internet applications management. The journal provides a platform for the exchange of research results, knowledges, and strategies related to internet applications in marketing and management, including applied (engineering, health and education etc.) sciences. 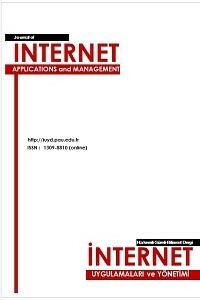 Journal of Internet Applications and Management is published in English by the support of Pamukkale University. The journal also provides immediate open access to its content on the principle that making research freely available to the public supports a greater global exchange of knowledge. - E-business, e-health, e-sport, e-learning, etc.